Get event listings in your inbox by signing up for Glencairn's monthly e-newsletter! $10 Adults, $8 Seniors/Students with ID. Free for Members and children 3 and under. Experience religious art in the making: witness demonstrators using metal, glass, sand, ink and movement to create beautiful expressions of faith. Hear live music, take our cell phone audio tour, see the temporary exhibition, Hex Signs: Sacred and Celestial Symbolism in Pennsylvania Dutch Barn Stars, enjoy self-guided time in the galleries, and rejuvenate at the Castle Cafe. The elevator stops at the 1st, 5th and Tower floors only at this event. Please use the stairs while exploring galleries on all other floors. No wheelchairs beyond the 1st floor. No backpack-style baby carriers or strollers. Photography for private use is permitted. No flash, tripods, selfie-sticks or videography allowed. The Medieval Festival at Glencairn is a portal to the past: experience medieval life, art and beliefs through a Pilgrim’s self-guided Quest, demonstrations, and activities. Click here to see photos from past Medieval Festivals. Explore the galleries on your own, and try your hand at medieval crafts. Take our cell phone audio tour, see the temporary exhibition, A Window to the Soul: Nishan Yardumian’s Biblical Art, and rejuvenate at the Castle Cafe. Photography for private use is permitted. No flash, tripods, selfie-sticks, or videography allowed. Experience religious art in the making: witness demonstrators using metal, glass, sand, ink, and dance to create beautiful expressions of faith. Learn about stone carving, hear live music, and more. Take our cell phone audio tour, see the temporary exhibition, Nishan Yardumian: Heavenly Visitations in the Bible, and rejuvenate at the Castle Cafe. The Medieval Festival at Glencairn is a portal to the past: experience medieval life, art and beliefs through a Pilgrim’s self-guided Quest, demonstrations and activities. Explore the galleries on your own, and try your hand at medieval crafts. Take our cell phone audio tour, see the temporary exhibition, Powwowing in Pennsylvania: Healing Rituals of the Dutch County, and rejuvenate at the Castle Cafe. $10 adults, $8 seniors/students with ID. Free for Museum Members and children 3 and under. Visit Glencairn Museum for our annual Sacred Arts Festival and experience religious art in the making. Witness demonstrators using ink, glass, paint and music to create beautiful expressions of faith. 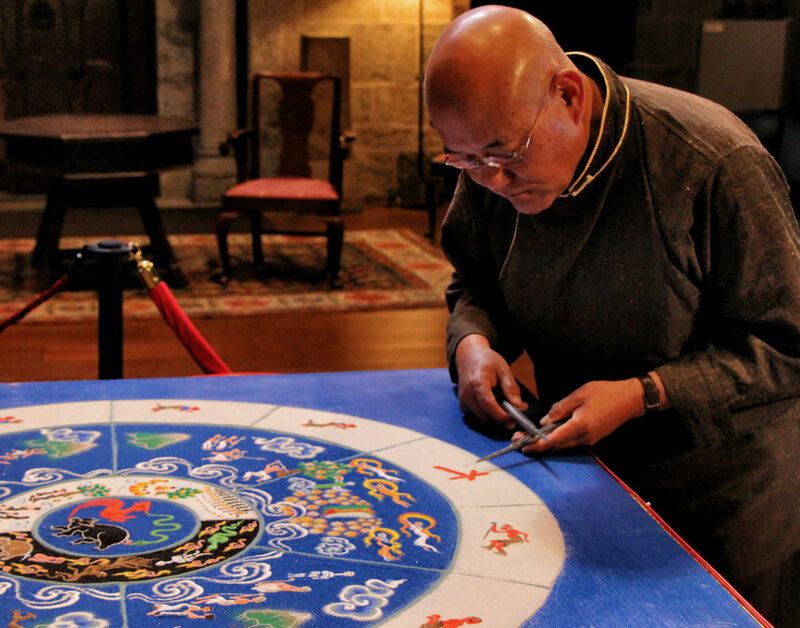 Learn about stone carving, see the creation of a sand mandala, take a cell phone audio tour inside and outside the building, enjoy the stunning view from Glencairn’s tower and relax in the Castle Café. Please note: at this event the elevator stops at the 1st and 5th floors and the Tower only. Please use the stairs while exploring Glencairn Museum’s galleries on all other floors. No wheelchairs beyond the 1st floor. No backpack-style baby carriers. Photography for private use is permitted. No flash, tripods, selfie-sticks or videography. Click here to see photos of past Sacred Arts Festivals. Watch as J. Kenneth Leap paints and assembles stained glass windows by hand. 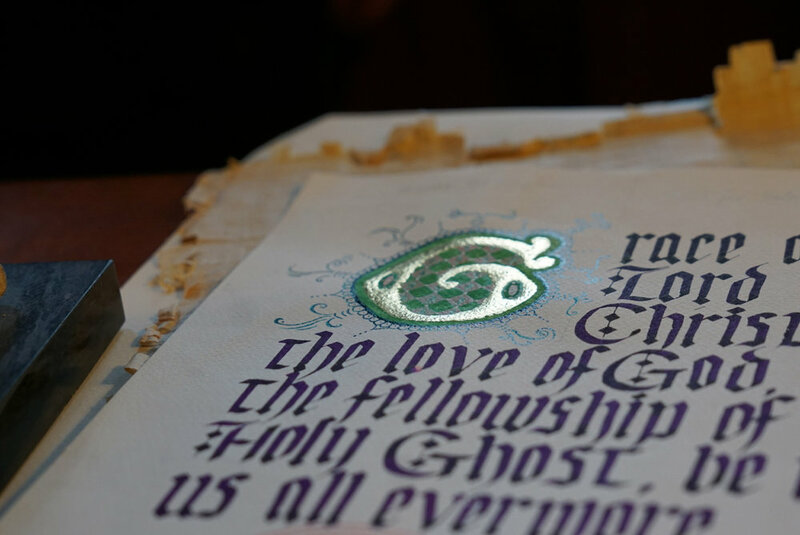 Learn about the art of manuscript illumination, and then see a Gutenberg-style printing press in action. Enjoy music played on replica period instruments, and try spinning wool. Learn about the influence of religion on medieval weaponry and cheer your favored knight in a sword battle. Explore the galleries, take our cell phone audio tour, and rejuvenate at our Castle Café. Come in medieval costume and get a prize! No wheelchairs beyond the 1st floor. No strollers or backpack-style baby carriers.